So, remember that one time you thought you set your post air on Tuesday, but the date you set was actually Wednesday? Oh, right, that was us. Oops! A day late, but definitely not a dollar short, here is your Newness Tuesday post! Today our Tuesday post comes from an addition to our shop page! It’s officially November, it gets dark at 5pm and the crock pots are coming out of the cupboards. We all have those days when we just want to stay cozy in bed but we have to work, take the kids to school, or get our holiday shopping done. 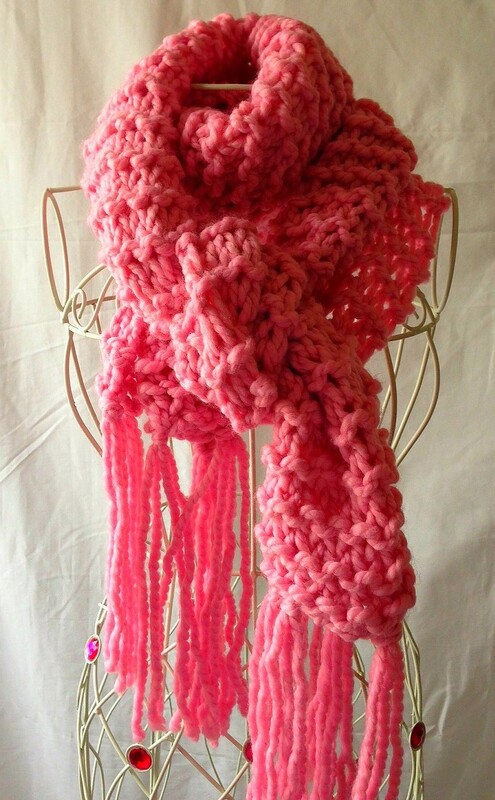 This scarf is the solution to feeling snug as a bug while out and about! So grab your thermos and hit the stores wrapped in this Bubblegum colored cloud! Head on over to the shop page to purchase or feel free to shoot us an email for more information at armcandykc@gmail.com! 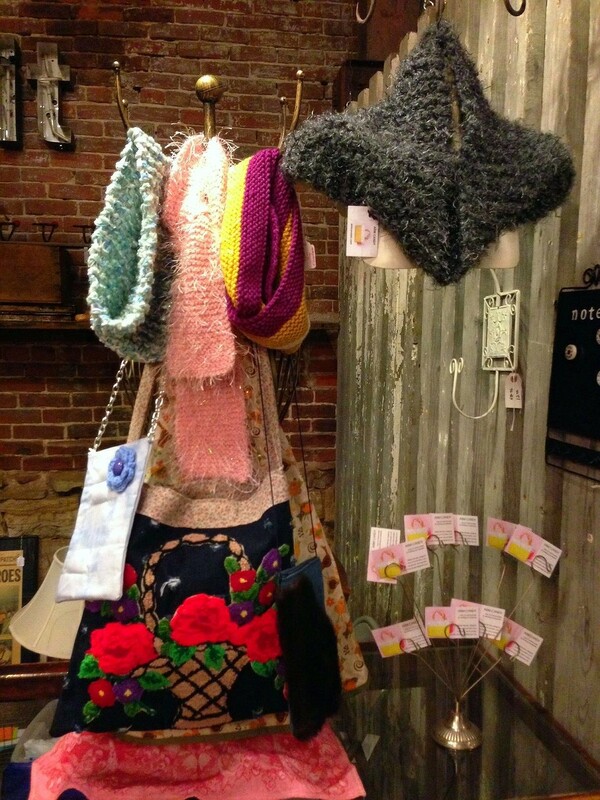 At Hickory Dickory this weekend we’re embracing Fall and stocking our shelves with cozy cowls, chunky knits, and felted handbags! Bring your thermos of pumpkin spice latte, fill up on pumpkin bread, and head on down here this weekend for some amazing antiques, inspiration, and of course, a little Arm Candy! Santa Claus is packing his bags and heading to Kansas City this weekend, and HE’S BRINGING PURSES! I know this is making you weak in the knees, but don’t faint just yet, because you have GOT to see this newness that will be featured at Hickory Dickory this Friday, Saturday, and Sunday in the West Bottoms!!! This little gem plus so many others will be featured this weekend at 1107 Hickory Street in Kansas City. See the facebook page for more info! And don’t forget to LIKE us on Facebook as well for more updates and event info! In just one hour Hickory Dickory will be open for another awesome Saturday in the West Bottoms! 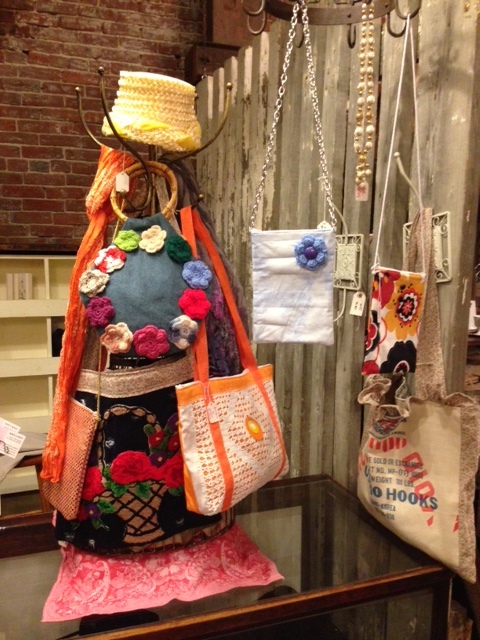 We’ve got some special additions to our display this week, some gifts specially made for Mom! Mother’s Day is just one week away, do you have the perfect one-of-a-kind accessory that says “I Love You”? If not, come on down, we’ve got it here! It’s official! 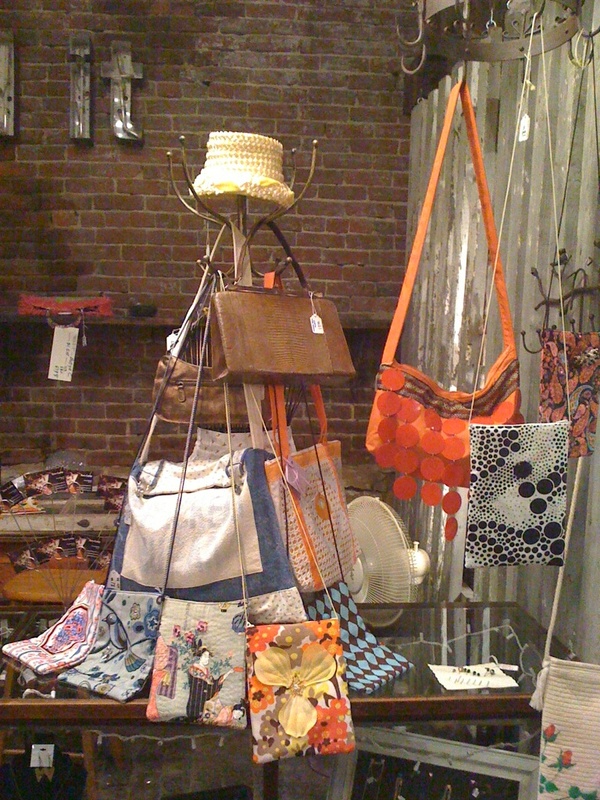 Arm Candy KC has been partnered up with Hickory Dickory for a year! We have an absolute BLAST every first weekend in the West Bottoms with the HD gang and we are so excited to be celebrating a year! We’re blowing out our candles, sticking our hands in the cake and digging in for another great first weekend! So come on down here and get in on the party! The weather is gorgeous this weekend and we’ve got so many new goodies to share! There is nothing better than taking a stroll through a thrift store and finding a GEM! 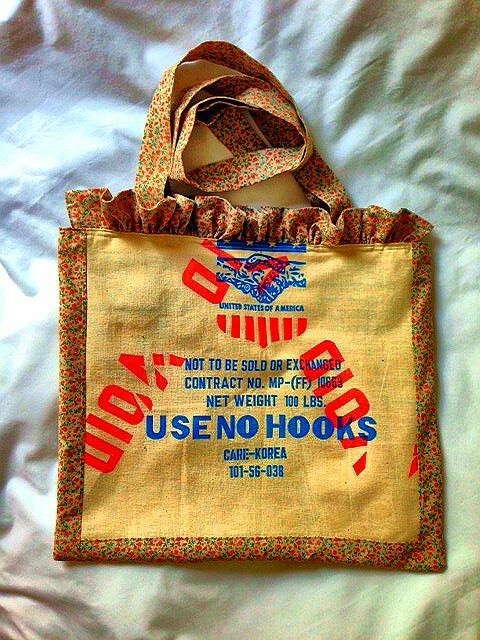 This Sunday I realized I was running low on feed sack bags….TERRIFYING! So I went to a few local thrift shops in the area and at my last stop, guess what I found! 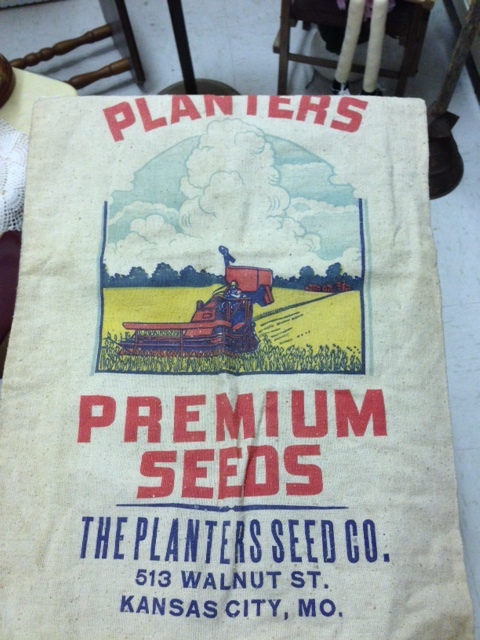 Had to post….Any suggestions on what this feed sack should become?! So I’ve got a cure for the common cabin fever. HICKORY DICKORY!!!! It’s warm, its cozy, it gets you out of the house, spring is happening in here! Come on out, and let’s beat this winter thing together with handbags and wristlets and clutches and our first ever Arm Candy at Home collection! Starting tonight and all weekend at Hickory Dickory in the Kansas City West Bottoms! See the preview photo below for one of our many new repurposed pieces. Man oh man! Half the city is here at Hickory Dickory today! So where are you?! 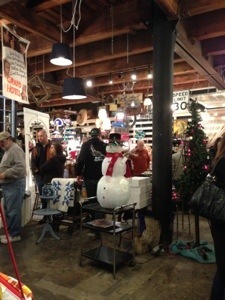 Get in on this Holiday Hustle and Bustle! Grab some hot chocolate and come check it out! We’ve made it to August! Summer is in full bloom and we’re bursting with joy here at Arm Candy! Are we the only ones who think once a month is just not enough?! In the spirit of summer fun I’ve added a little twist to this month’s one-of-a-kind display at Hickory Dickory! 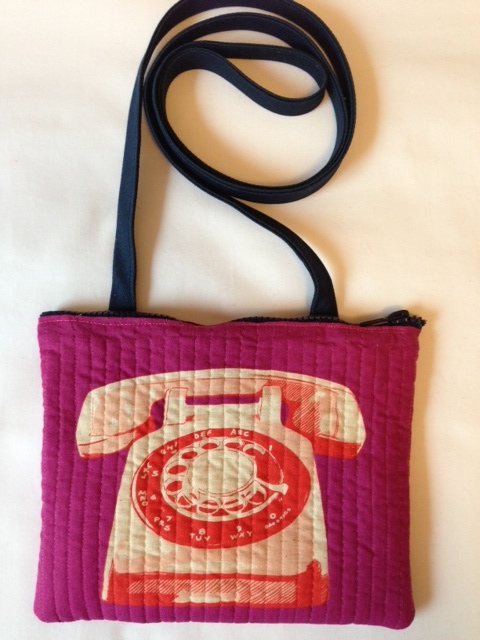 Sprinkled in here and there you’ll find a few of my favorite vintage bags! I’ve given them some Arm Candy lovin’ and a new coat of bag swag and they are ready to roll! As you well know I am not only a lover but a collector of vintage handbags and carryalls, and I think it’s high time I start sharing my love with my awesome customers! Come check us out at Hickory Dickory in the West Bottoms of Kansas City, Missouri this weekend (Click any of the links for directions and details)! And DON’T FORGET to “LIKE” us on Facebook I’ll most certainly see you there! For those of you are new to Arm Candy, I wanted to let you know that we are featured every first weekend at Hickory Dickory in Kansas City’s West Bottoms. 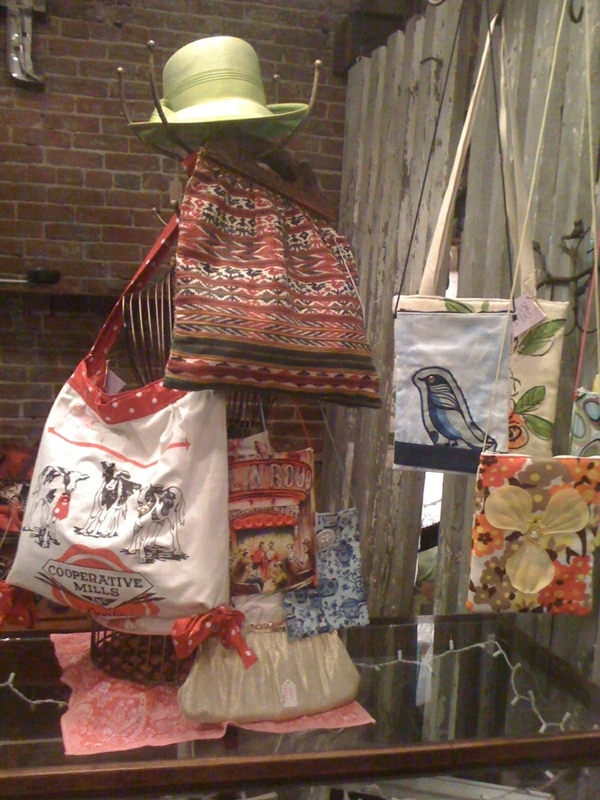 Hickory Dickory is full of amazing antiques, hand made arts and crafts, and now Arm Candy Accessories! Every first weekend the shops in the West Bottoms are filled with laughter and joy, and I’m so glad to be a part of it. As always, there is good food and even better shopping, so come on down and join us for this monthly treat! Here’s a photo of my space this month. Enticing? YES!